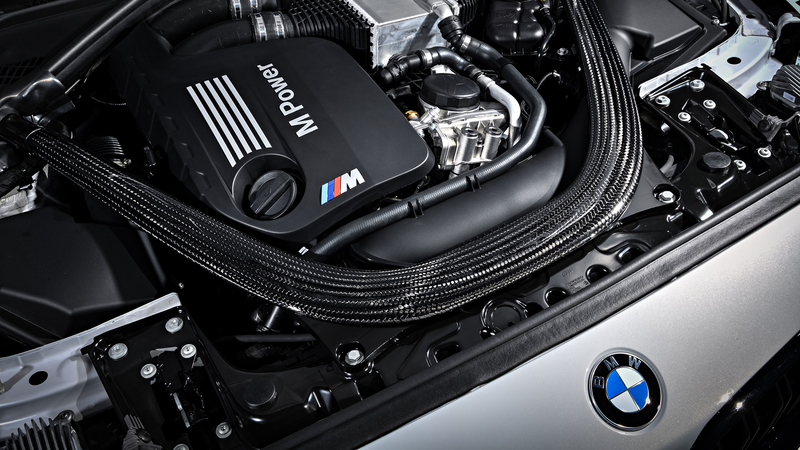 The 3.0-liter twin-turbo inline-six produces 405 horsepower and offers 406 pound-feet of torque from 2,350 to 5,230 rpm. 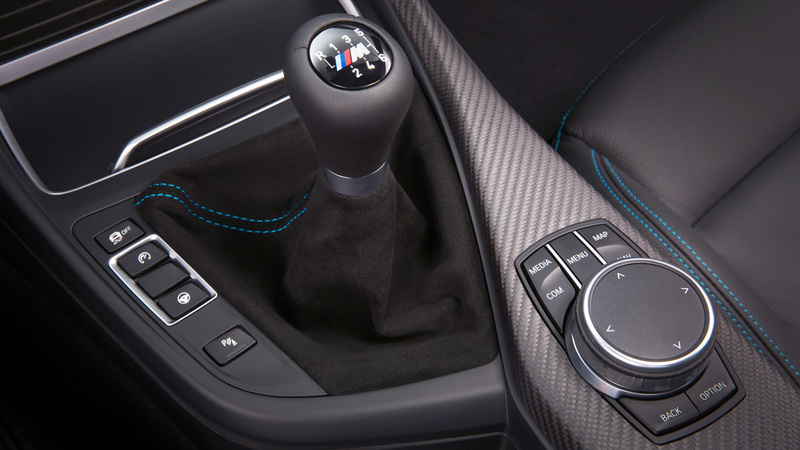 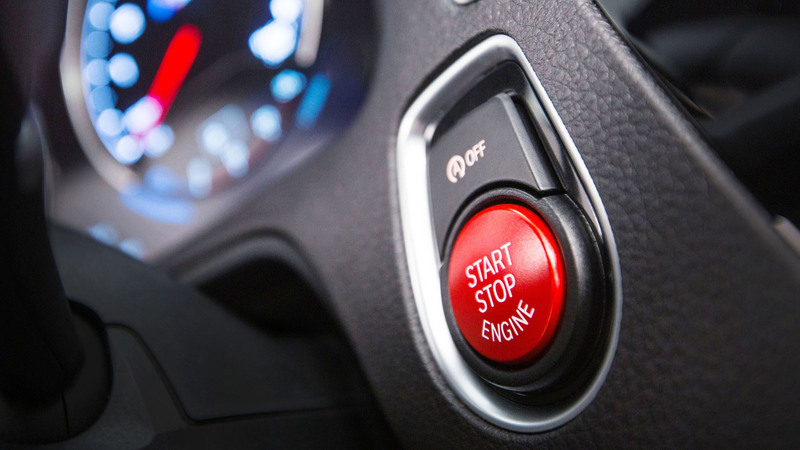 There's also good news for fans of manual gearboxes: the M2 Competition will be available with both the seven-speed M DCT double clutch box and a six-speed manual equipped with rev matching for smoother shifts. 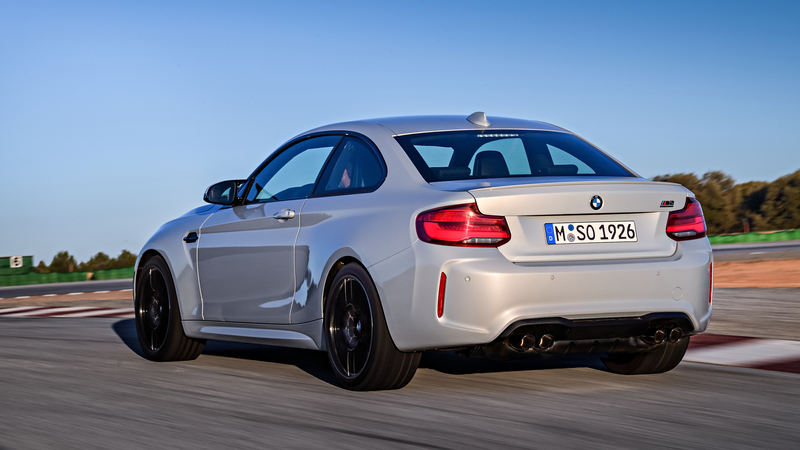 The M DCT comes with three Drivelogic driving programs: Comfort, Sport and Sport+. 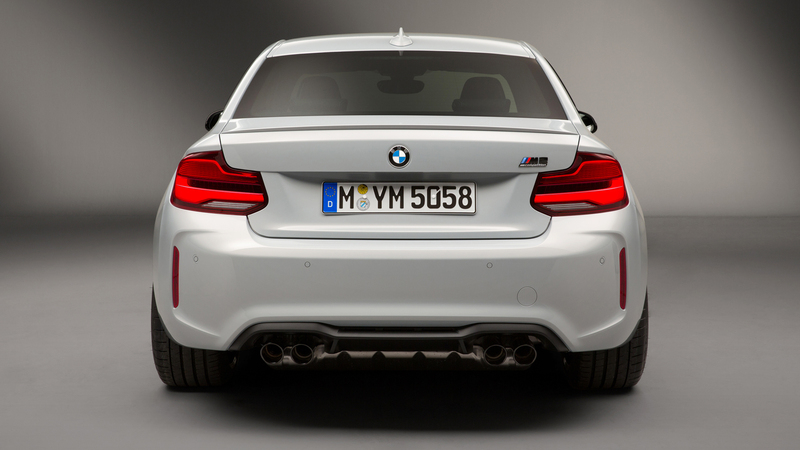 The manual car hits 60 mph in 4.2 seconds, and you can slice that 0.2 second off that figure with the M DCT box. 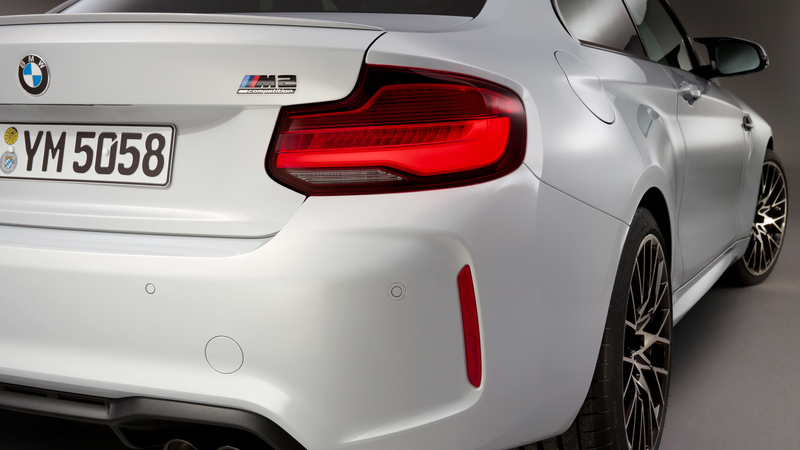 There are also some choice M3/M4 bits in the car, as the M2 Competition benefits from a racing-bred engine oil supply system, and the three-radiator M4 Competition Package cooling system that has been made to fit the M2 Competition. 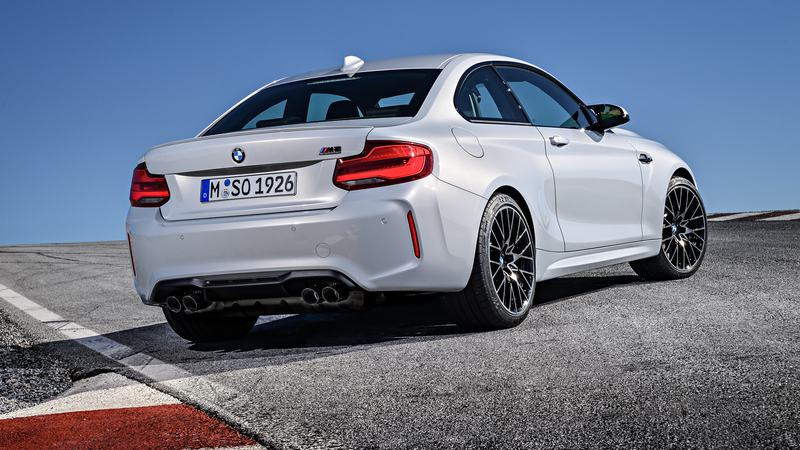 The lightweight, partially aluminum front and rear axles are also from the M3/M4, as is the 3.3-lb CFRP strut brace in the engine bay. 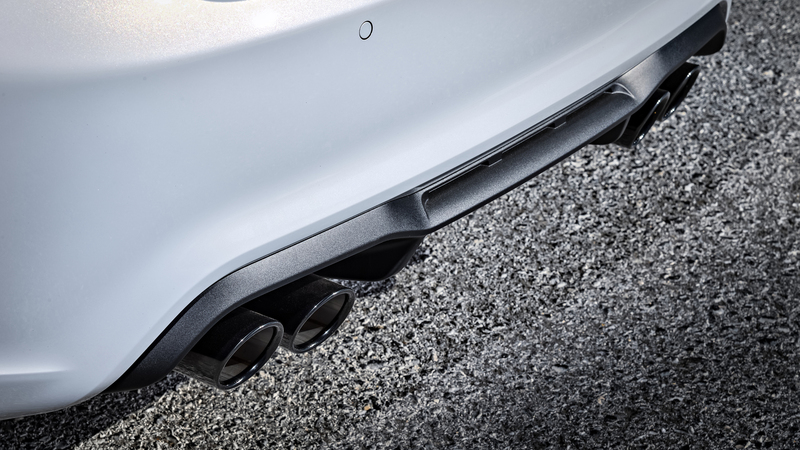 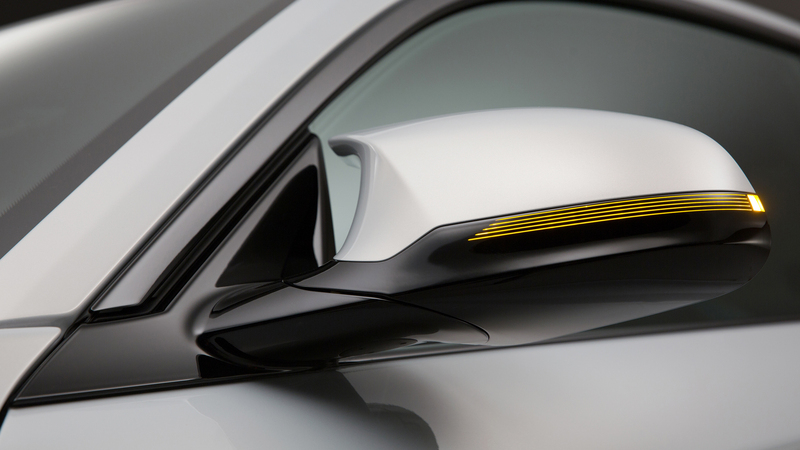 The exhaust is all-new, featuring electric flaps that respond to the drive mode choice. 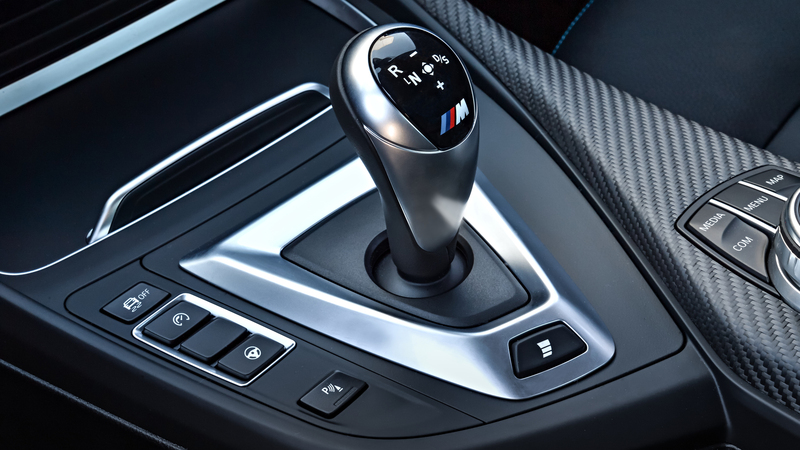 There's also the Active M rear differential, which can be adjusted between 0 and 100 percent, depending of the steering angle, accelerator position, brake pressure, engine torque, wheel speed and yaw rate. 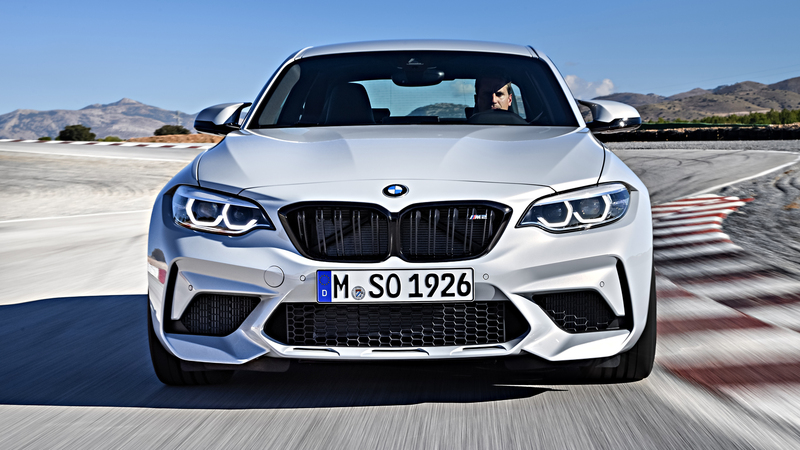 It can give the full 1,800 lb-ft of locking power in just 150 milliseconds when the situation demands it. 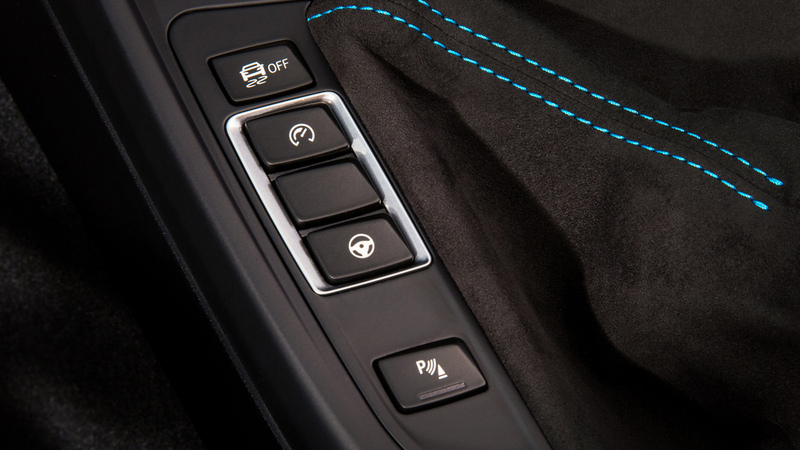 But there's also a special show-off mode built into the stability control, which "increases the freedom available to drivers at the limit," meaning the electronic nannies will let you drive in a more lairy fashion, performing "moderate, controlled drifts," with the DSC still stepping in to prevent unintended adventures into shrubs and ditches. 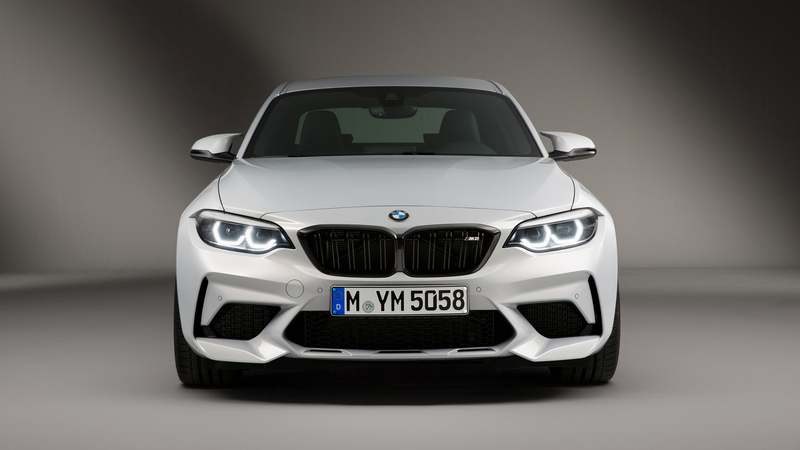 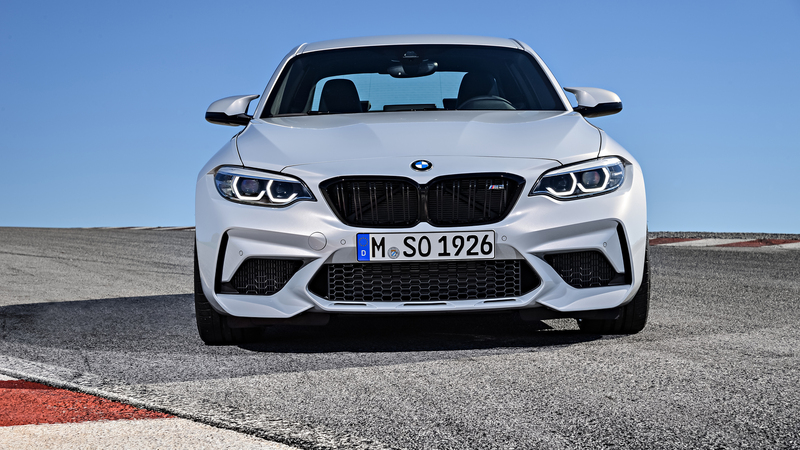 The 2019 M2 Competition, which can hit a top speed of 174 mph if specified with the M Drivers Package, will be made available in the summer of 2018. 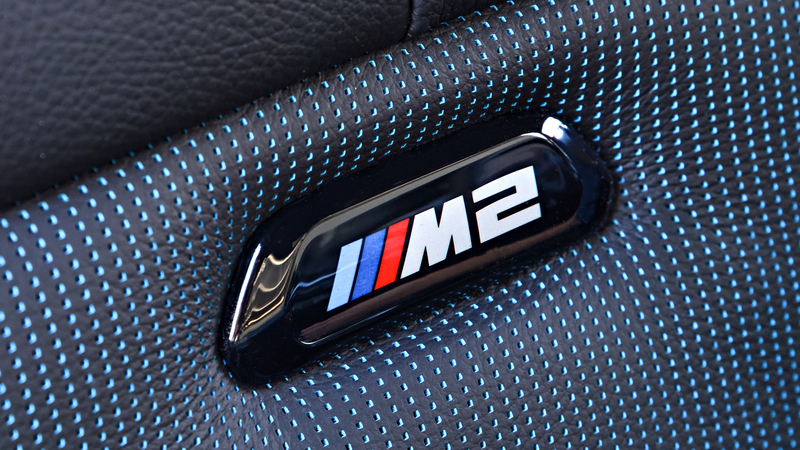 Pricing is not yet announced.